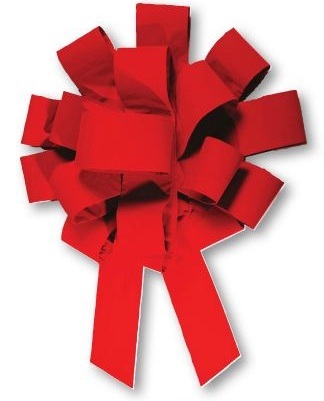 Bow - Red Velvet Car Bow, 48in. Home > Car Lot Supplies > Bows > Bow - Red Velvet Car Bow, 48in. Nicest box on the market. Comes with padded magnet to help secure to vehicle. Designed not to scratch vehicles. Bow is compressed for shipping, easily arranges to a nice full bow. Save on quantities of 5 or more. Actual shipping charges apply. Call to receive volume discount.